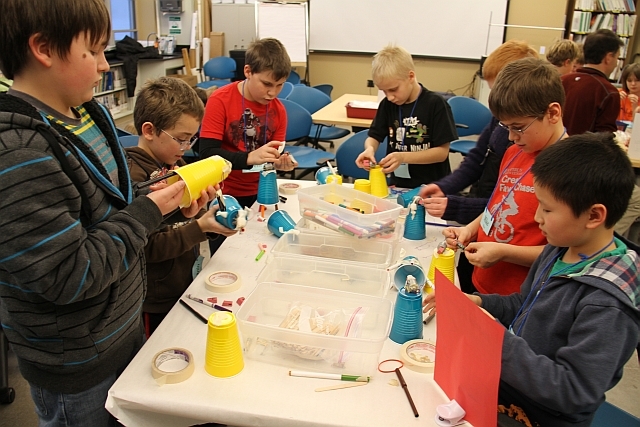 Children in grades 1-7 to spent six Monday afternoons after school learning about science and engineering hosted by Michigan Tech’s Western UP Center for Science, Math and Environmental Education. Students in grades 4-7 met Nov. 11 through Dec. 16. They learned about 3D printing, video game design and robotics. Classes met from 4 to 5:30 p.m. in the Great Lakes Research Center (GLRC) on campus. Houghton school buses dropped off participants at the Great Lakes Research Center. 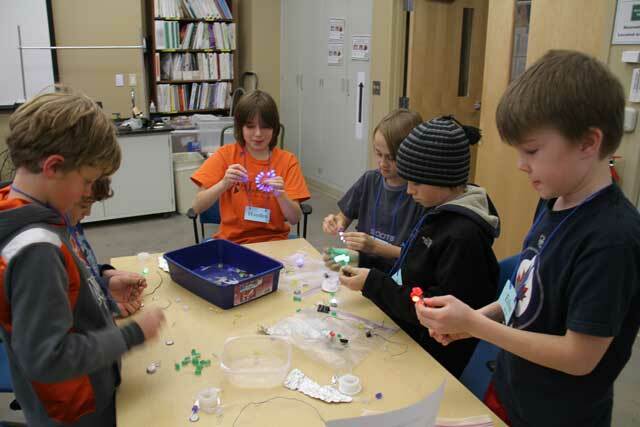 Students learn about the basics of circuitry by exploring LEDs, batteries and various conductors. 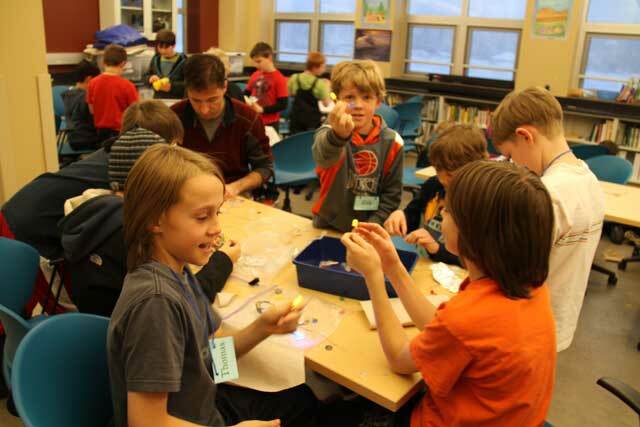 Students are challenged to create complex circuits by assembling LEDs, batteries and wires. 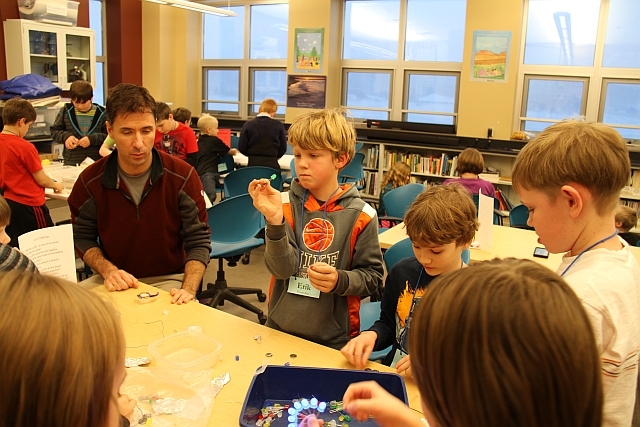 Participants learn about motors by applying their creativity to assemble "Art Bots." Fun is had when challenges are faced by students finding the maximum number of lights that are capable of being lit by a coin battery. 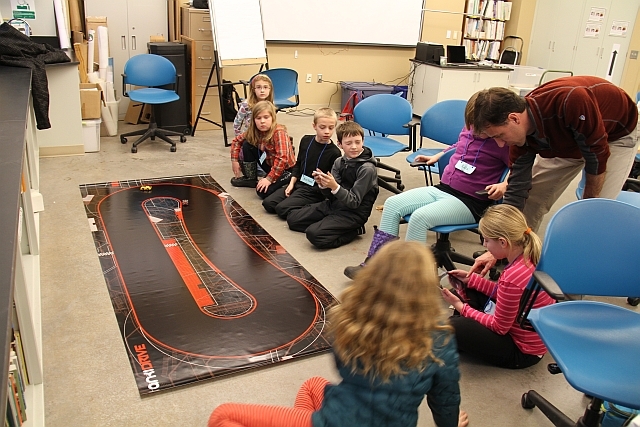 Artificial Intelligence is explored when students explored the newest technology available from Apple called Anki. 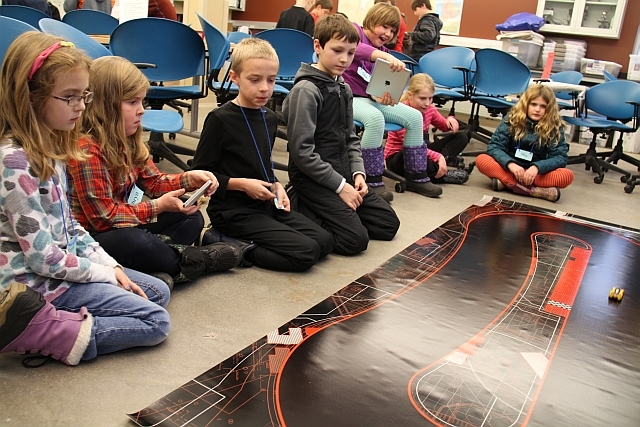 Students learned how motors, sensors, and servos are combined with iOS mobile apps to create the newest game. Students enjoy the interaction of the virtual world and physical world. 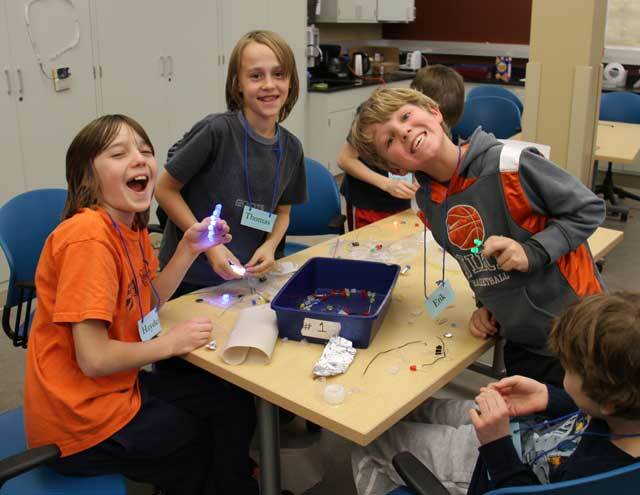 Some students who have not explored basic circuits are excited by their new understandings.